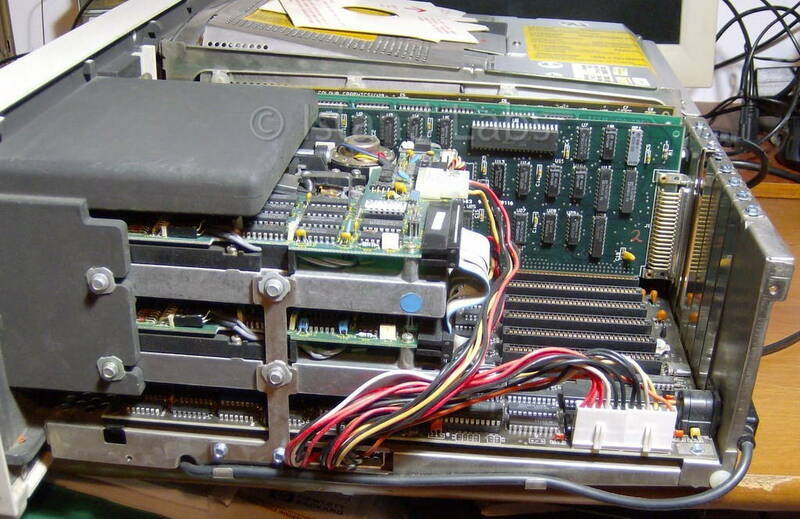 The IBM 5155 was one of the first portable personal computers in the world with up to 640kB of memory. 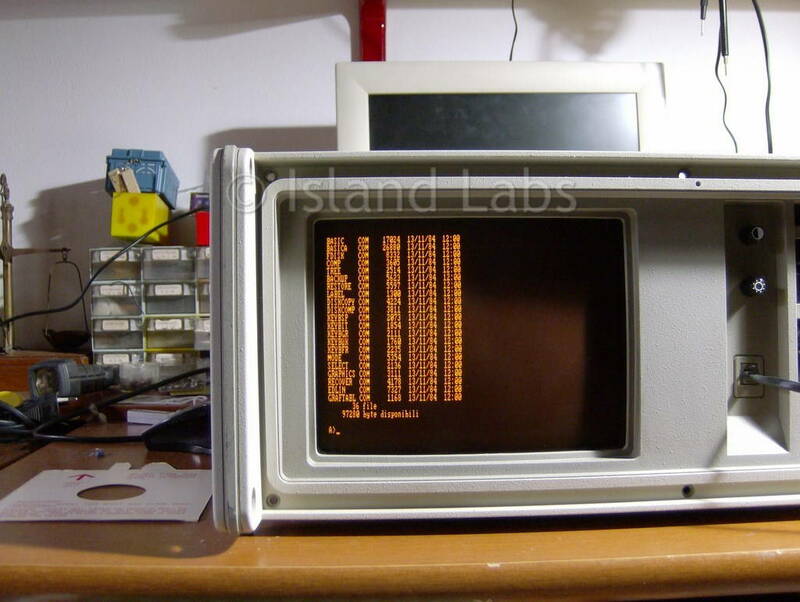 This version was basically a PC/XT motherboard, planted into a luggable case. 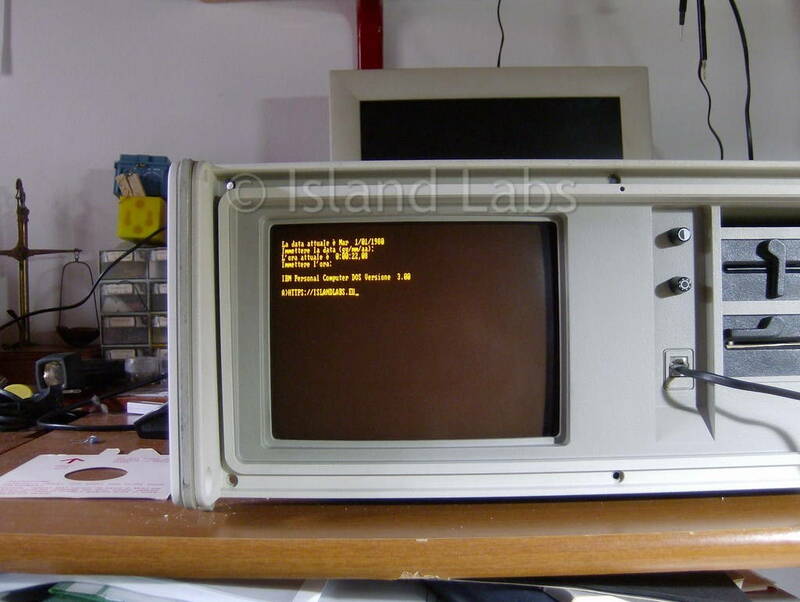 This sample has a monochrome amber monitor, 512 kB of RAM on the motherboard, a memory expansion card, an 8087 arithmetic coprocessor and two 360KB 5.25-inch disk drives.